Depending on how much you pay attention to certain things, Leprous might be familiar to you. They’ve been around for quite some time, The Congregation being their fifth album. They received a bit of buzz a few years back due to the fact that they were basically Ihsahn’s live band. That’s actually how I heard of them, so there you go. As a band, Leprous has been quite consistent with their sound, going for a style of prog metal that is neither wankery nor bursting with extra instruments. Instead, they write what I guess you could call a “quirky” style. They’ll throw in jaunty bass lines, intros and outros often feature funky synth, and the vocalist is very dynamic in his range, although he normally is singing in an impressive falsetto. If you’re looking for a similar artist to get an idea of their sound, I would say they are like a Haken without the wankery (Haken is awesomely wankery). What I was surprised with when I first turned on The Congregation is the twitchy guitar riffs they employ in the first few songs. That stuttering, start-stop style of riffing has never been my favourite, and I was almost ready to write this album off after the second song. But then Rewind played, one of the strongest songs on the album, and I realized that not only is this album very long, it is also very diverse. There seems to be something for everyone here; if you like those shorter, harder hitting pieces with strong guitar leads, they have them. If you, like me, prefer the more epic pieces that build their way up to a climax, they have that too. Not only that, but the pacing of the album is very well thought-out. They never stick to one style of songwriting, and I never felt the length of this album. The guitars on this album seem to be driving the songs, but not always as the main instrument. I notice that instead they will use the synths to bring the lead melody, and the guitar is simply meant to be a backing instrument. I think some of the synth passages on this album are great, bringing a lot of emotion to the songs. And then there are the vocals! I know that some people find Einar Solberg’s voice to be off-putting or annoying (show me a prog band that doesn’t have a handful of vocalist detractors), but I cannot praise his performance enough. On previous albums, he was good, but on The Congregation, he is amazing. Some of the songs, they’ve layered the vocals to bring a really epic feel. On other songs, the vocals are straightforward and punchy, and even other songs, the vocals are soulful and gorgeous. There are just so many great performances on this album that you have to credit Einar. 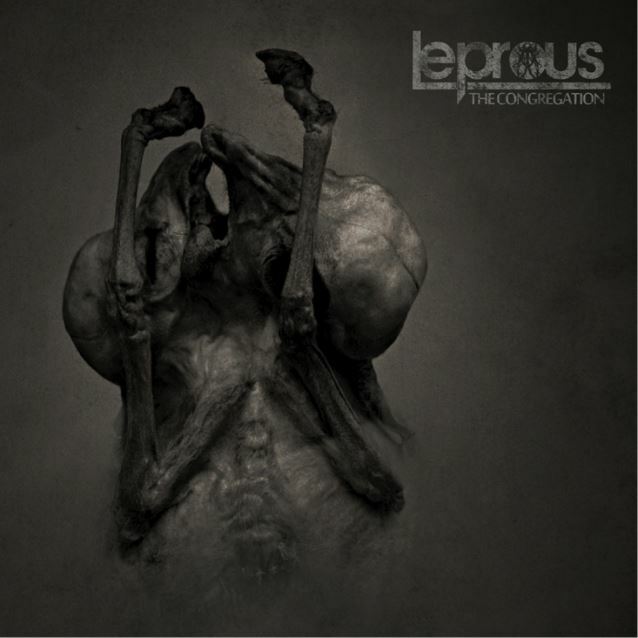 While this isn’t my favourite prog metal album ever, I think Leprous has hit a really high note here. The progression from the previous album, Coal, to this one is noticeable. The band continues to refine their song writing skills and I can’t wait to hear more music from them.